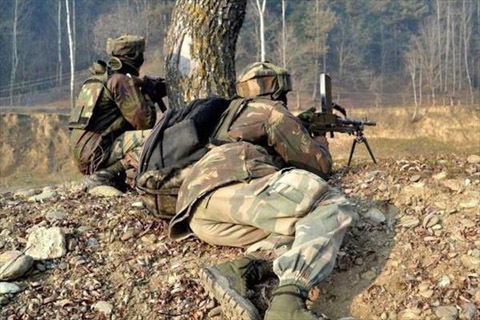 A gunfight broke out between the government forces and militants in Darganaie Gund village of Tral in south Kashmir’s Pulwama district on Friday, police said. An official said the gunfight erupted after a joint search was launched in the village by Jammu & Kashmir police, army’s 42 Rashtriya Rifles (RR) and 180 BN Central Reserve Police Force (CRPF) following “specific” inputs about the presence of militants in the area. An official said that the forces have blocked all the entry and exit points to the village. “We have tightened the cordon to ensure that militants don’t escape from the area,” said the official. Meanwhile, authorities have suspended the Internet service in police district Awantipora which includes Tral, Awantipora and Pampore areas. The gunfight was going on when the last reports came.